This is the very first speech that I drafted on my own after being inspired by the Petitioner and deciding to jettison the standard speech about three years ago. Saya, Fahri Azzat, mewakili Pempetisyen, Encik Goh Seng Hong, pada hari ini. Rakan-rakan bijaksana yang mewakili Peguam Negara Malaysia, Majlis Peguam dan Jawatankuasa Peguam Kuala Lumpur adalah seperti yang telah diperkenalkan tadi. Saya di sini ingin pohon keizinan Yang Arif untuk berterusan di dalam Bahasa Inggeris untuk memastikan bahawa hujahan saya tidak memedihkan telinga sehingga menutupkan mata. The Petitioner was born in 1983, in Butterworth, Penang. He is the second child of the four children of Mr. Goh Peng Khuan and Madam Lee Chiu Kiok who are present with us this morning. The Petitioner completed his pre-university in education in 2002 at Jit Sin High School. Now, the Petitioner, if he followed what he felt was his true calling at the time, if such can be said of such a profession, we would not be here today and I would be attending to an urgent round of teh tarik downstairs. This is because the Petitioner claims that he was fond of numbers. So fond was he that for a moment he seriously and actually considered dedicating his life to the addition, subtraction, multiplication and division of numbers set behind a dollar sign, in short, an accountant. However, the Petitioner was soon to realize that he was destined for the law when his exam results in the subject did not measure up to his passion. And since most lawyers mathematical ability is limited only to adding up their bill and thereafter offering and calculating a thoroughly improper discount on it, the Petitioner, like many others who do not quite know what to do with themselves during an undergraduate degree, was naturally drawn to our noble and mathematical averse profession. This would be common were it not for the fact that he took up studying the law despite professing to be someone not cut out for heavy duty memorization nor writing essays. Some can with good reason describe this as insane, but I think it is a display of the Petitioner’s strength and tenacity of character. The Petitioner claims that he took to the law because of his plans. This plan of his he says is often mocked because of its perceived naivete but I see no such foolishness in it. In fact, I find it immensely refreshing. The Petitioner’s plan would be to one day serve with the United Nations on issues relating to either environmental or migrant-related matters and correctly thought the law would give him the best exposure to these issues. Should he reach this position, it would mean a fulfillment of his goals which is to travel the world and help people on those travels. When I say ‘travel the world’, the Petitioner does not mean glamorous places like Paris, Milan, London or the Jalan Duta Court Complex nor traveling on Business Class or by yacht. By travel I mean, the Petitioner wants to see real life and real people – he wants to take the road less traveled, taking modes of transportation most used – buses, walking, and I am certain a mule, if he could procure one. He wants to see the life lived instead of postured as he so often finds in these urban jungles. He already does this on his more modest travels these days – usually avoiding main city areas and preferring to seek out small villages and beaten road tracks to explore. And it is in helping people that I think brought the Petitioner to the law. Few professions allow a person to help and facilitate the lives of people in such an important and significant manner either at an individual or societal level as a daily job than the law. No other profession allows a person to assume an unprecedented number of roles in the service of justice. 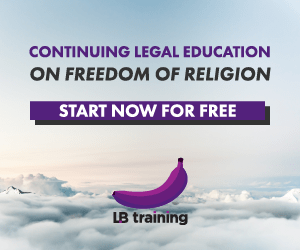 A lawyer can be suing a company one day, defending a pro bono accused next, providing free corporate legal advice to charities, to assisting in drafting legislation that would benefit society and the nation, and teaching students. The law is the foundation of society and if the law is properly administered, society will be just. And I think the Petitioner is genuine about his passion to help. He actually told me that money, though is important for him, it is not the most important thing. More important is for him to live the life that he wants and to achieve his goals in life. To hear this from someone this young in a consumer culture and an environment which promotes the mere accumulation of money as being a legitimate and encouraged goal in life is not just refreshing but restores my faith in our youth. So to come back to the Petitioner’s story, he completed his law degree without incident and commenced his pupilage under the guidance of Mr. Brendan Navin Siva of Messrs. Kadir Andri & Partners in June 2007 and completed in March 2008. He, of course, does not seek to fulfil his ambition so quickly and hopes as a first step to serve at the feet of Justice faithfully and ethically. There shall be many steps after that before he fulfils his ambition but we are all privileged to be here today as he makes that first most important step, not just as a lawyer but formally as a recognized contributing member of society. (4)	And finally to his fellow colleagues, friends and relatives who have made his pupilage a fun learning experience. I would like to end my submission with a short and I think appropriate poem for this occasion for the Petitioner. 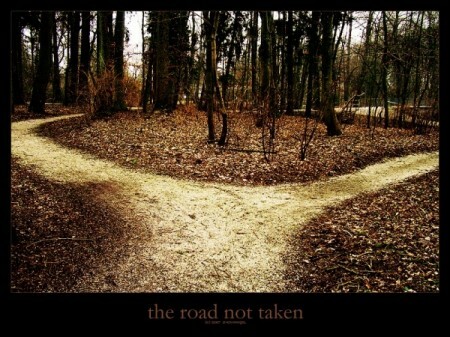 It is titled ‘The Road Not Taken’ by Robert Frost. I believe that the Petitioner’s papers are in order. I believe my learned friends have no objections to this Petition. I pray that the Petitioner be admitted and registered as an advocate and solicitor of the High Court of Malaya. Fahri can still remember how inspired he was after interviewing the Petitioner in this speech. He interviewed the Petitioner the night before the call at about 8pm at his house and was driven to stay up until 1am to complete the speech. He remembers the gasps of horror when he announced in court that he was going to recite the lovely poem and was fortunate he was not lynched by the other lawyers because of the length of his speech. Posted on 15 July 2011. You can follow any responses to this entry through the RSS 2.0.